this project was made for new Prima Art Recipe. 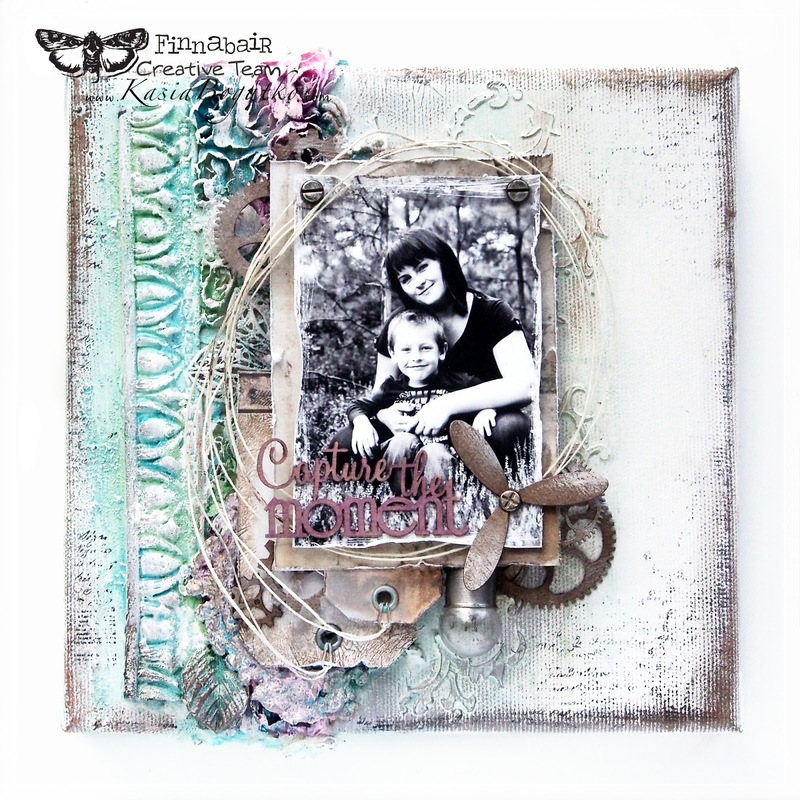 Please feel free to visit Prima blog to see inspirations from Finnabair Team. This color combo was quite a challenge for me, not exactly my first choice of a color palette. But, I'm so glad I took this challenge - I love it and I think it will be one of my favorite color choices from now on. I created a mixed-media canvas with a little bit of masculine (or maybe boyish? :) ) look. The whole composition is rich in embellishments and add-ons, very dimensional, and full of layers. The background is also quite varied - I used pieces from moulds, metal embellishments, and clear Art Pebbles. 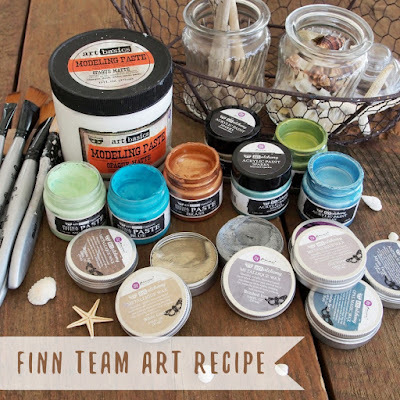 The colors come from Mica Powders and Art Alchemy paints. I lightened them gently with White Heavy Gesso.